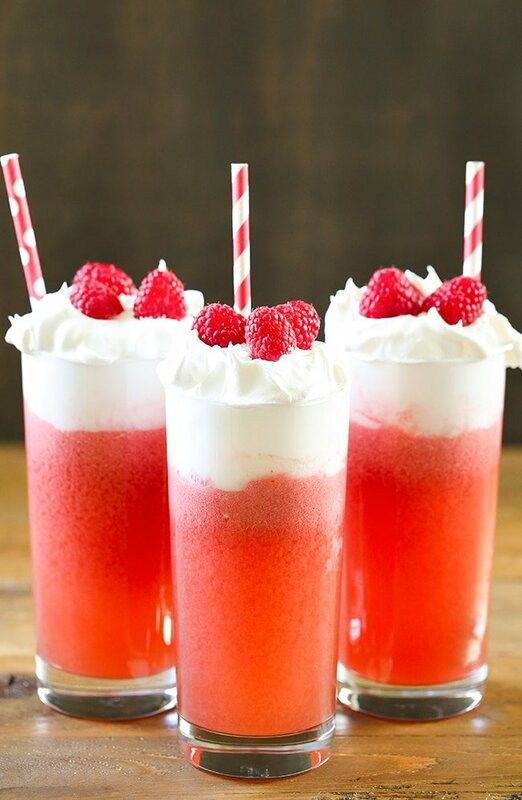 A fizzy beverage made with sparkling club soda, pineapple juice, Torani Raspberry Syrup, and cream. 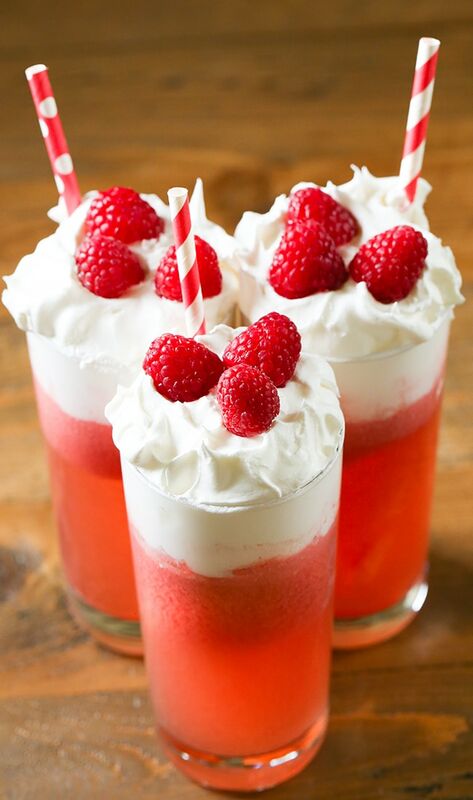 Topped with whipped cream and fresh fruit, this drink will quickly become a favorite. Getting together with friends and hosting the first summer party of the year is something I look forward to celebrating all year. 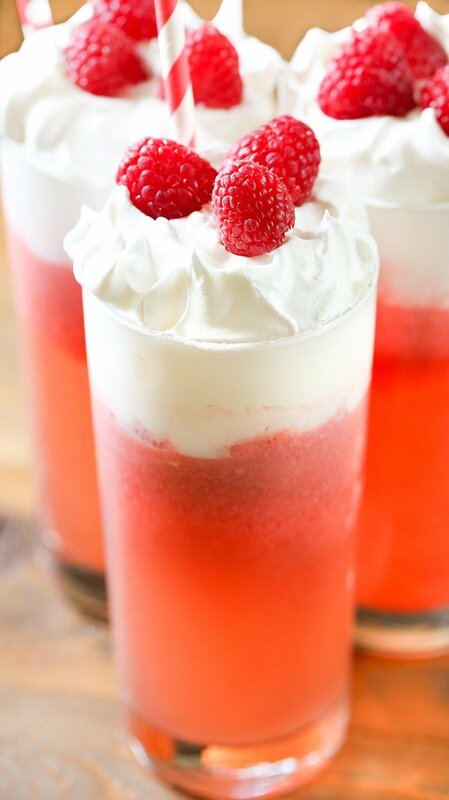 I cannot think of anything else I’d rather sip on than these homemade Italian Cream Sodas. Growing up, our family had a Sunday tradition to eat at our favorite Italian restaurant in Milwaukee. As a kid, I couldn’t wait to get my hands on this drink. I’d order one or two cream sodas and know that I was the luckiest kid on earth. 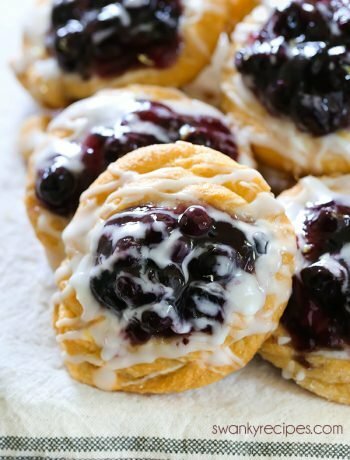 If you’ve ever tried to make them at home then you know that the recipe only works with flavored syrups. Italian Cream Sodas have been a huge part of my life. I started making them during college when I was away from home and to this day I still make them for the holidays when I visit home. It’s also the perfect drink to make for a hot summer day and is even perfect to serve for a bridal party or a girls night in. To make this recipe, start by pouring cold club soda into a large pitcher. Carefully stir in pineapple juice. 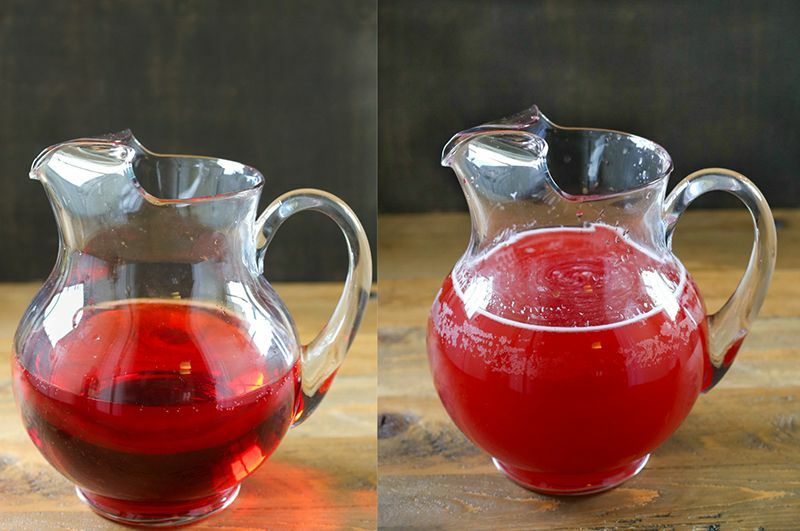 Next, measure Torani Raspberry Syrup and add it to the pitcher. Stir in Torani Peach Syrup. I really loved the added peach flavor syrup in this drink. It heightened the raspberry flavor and really brought the drink together. I highly suggest adding it to the beverage as suggested in the recipe. Next, stir in vanilla extract and Torani Caramel or Vanilla Syrup. Refrigerate the pitcher for at least 30 minutes to an hour. Evenly divide the beverage between 6 tall glasses, filling it 3/5th to the top of the rim. Stir in 2 tablespoons of half and half into each glass. Spoon in whipped cream filling it to the top of the rim. 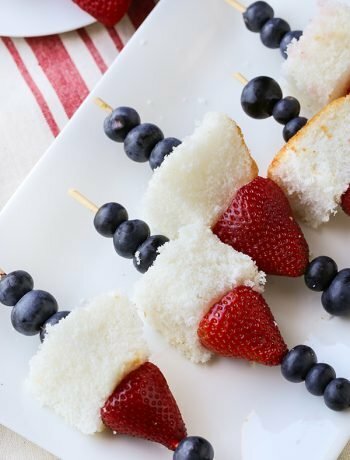 Garnish with fresh raspberries or pineapple and serve with a straw. For more inspiration, be sure to head to Torani to get the latest recipes. If you’re anything like me, you’ll love getting visually inspired by these beautiful recipes by following Torani on Instagram, too. I found my Torani summer flavored syrups at Walmart, located in the tea section. While traditional Torani flavored syrups can also be used to flavor your coffee such as those in the coffee aisle, be sure to look for the new summer flavors at Walmart in the tea aisle on the shelves. 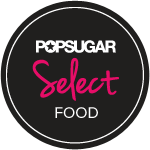 These syrup flavors are new to Walmart and are made with real, simple ingredients like pure cane sugar and natural flavors that are perfect to flavor summer beverages whether making a large batch for entertaining or a unique single serve drink recipe to sip on outdoors. The new pour spout makes it incredibly easy to add a splash to drinks when entertaining with friends. Now, it’s even easier to make your favorite flavored drinks at home with the new Torani Raspberry Syrup, Passion Fruit Syrup, and Peach Syrup. Our family can never have enough cold summer beverage recipes on hand to entertain with and serve to friends. We love to keep the kitchen stocked with Torani syrups to add exceptional flavor to all of our beverages. It’s summer moments like these that I’m thankful to share my favorite drink recipes with friends the most. 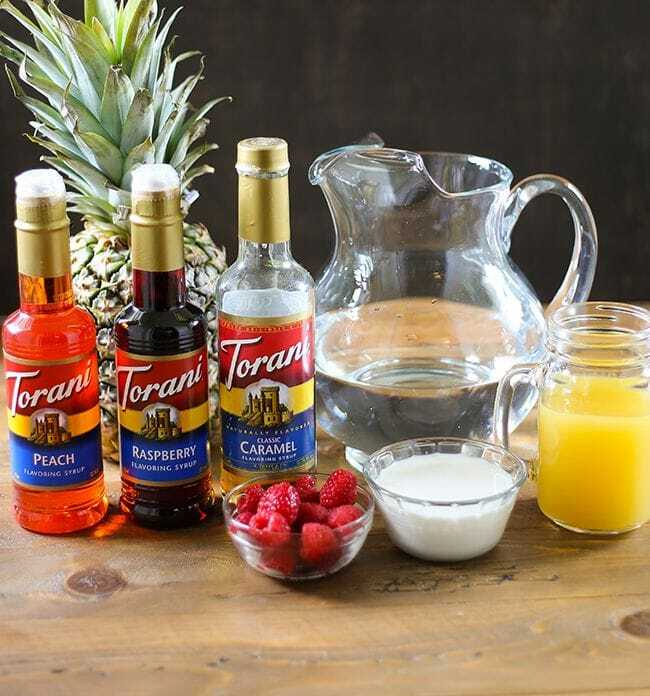 What are your favorite recipes to use with Torani flavored syrups? Have you tried all the flavors from Walmart? In a large pitcher, combine club soda and pineapple juice. Stir in Torani Raspberry Syrup and Torani Peach Syrup. Stir in vanilla extract and Torani Caramel or Vanilla flavored syrup. Refrigerate pitcher for 1 hour. Divide drink evenly between 6 cups filling it 3/5th to the top of the rim. Stir 2 tablespoons of cream into each cup. Garnish with fresh raspberries or sliced pineapple. Serve chilled with straw. **Make the drink the day of the party. Pineapple may go bad exposed to air. Italian cream sodas are so yummy! I can’t believe that I have never made one at home before now. Oh my Gosh!!! These look so gorgeous and I wish I could scoop one out of the screen!! 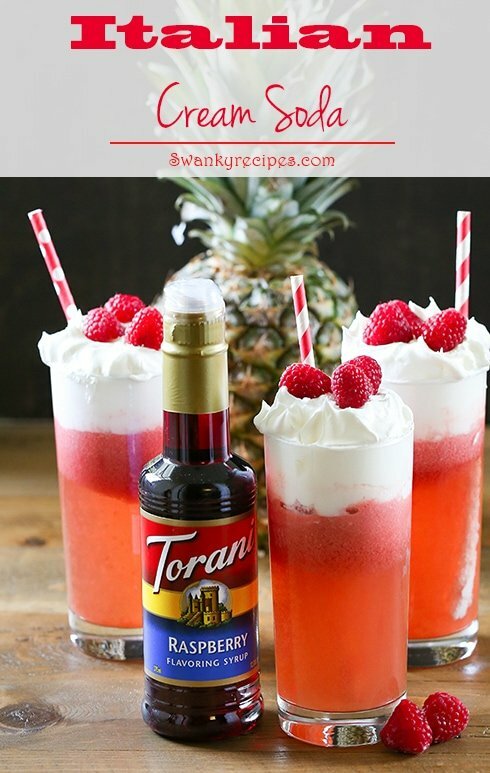 I love Italian soda and they are my fav all summer long and this is so easy to make using the Torani syrups. Oh that is such a treat!! 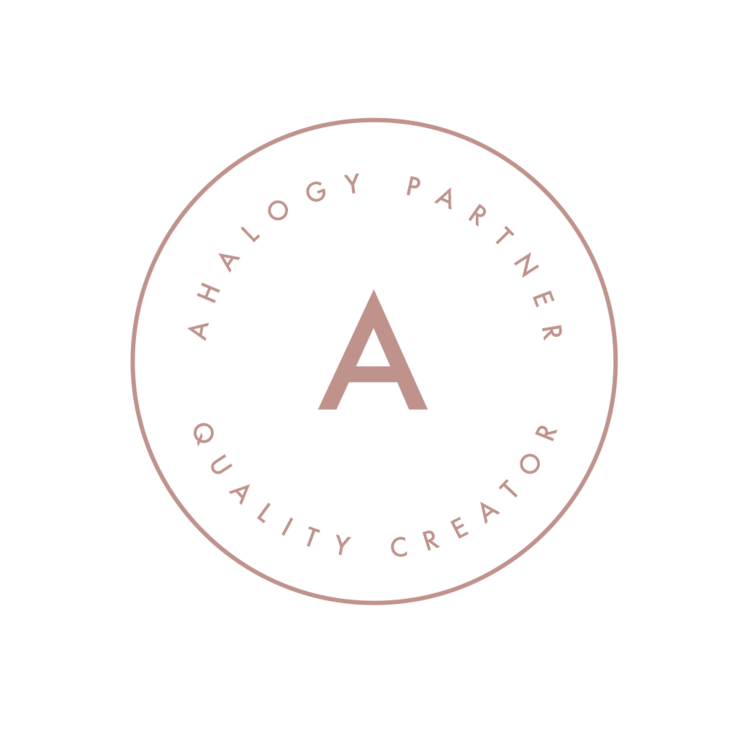 I love how pretty that color is and beautifully you have blended so many flavors. YUM! I can’t wait to try this. I love Torani syrups, they have such amazing flavor!! These italian sodas are DREAMY!!! I want one now! Gorgeous looking drink. I’ve got to check out the Torani flavors and pick some up next time I go to the store. What a great afternoon treat to sip during the hot weather. Great idea making your own cream soda!! What a perfect recipe for summer! I love Italian sodas! Though I tend to do mine without cream! Delicious ice cream soda, I love the color, I need to try your recipe as summer is heating up in Texas. 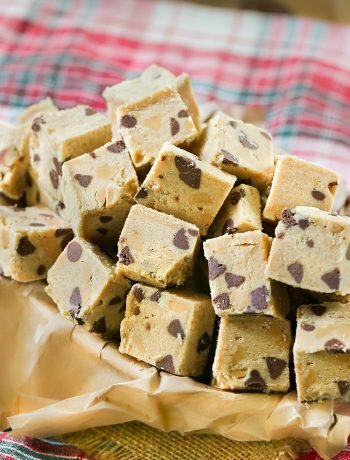 Really yummy and delicious! Perfect drink for summer!! 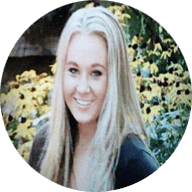 !I loved its color!! What a pretty drink! I am wondering if alcohol could be added to the recipe for a holiday cocktail. If so, what kind? Any thoughts and/or suggestions? Hi Margee, I think rum or vodka would be a good choice. Could even try sparkling prosecco wine (white). Let me know how it goes!